There are a lot of great cool climate wines being produced in the Cape, many of them originating in Elgin. 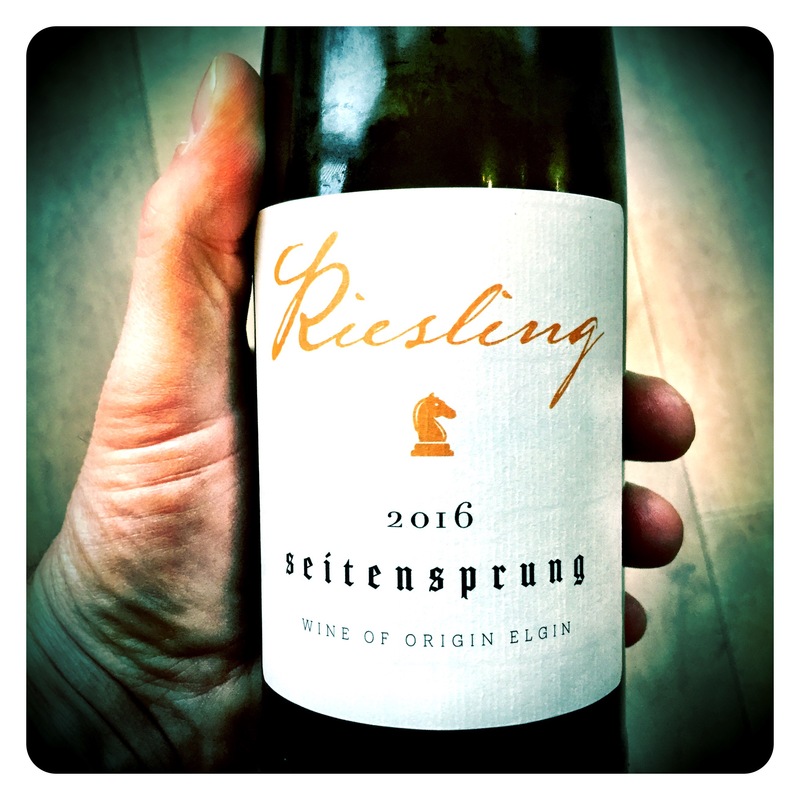 But unusually, this new release is not a Chardonnay, Semillon or a Sauvignon Blanc, but a superb cool, crunchy, mineral Riesling. 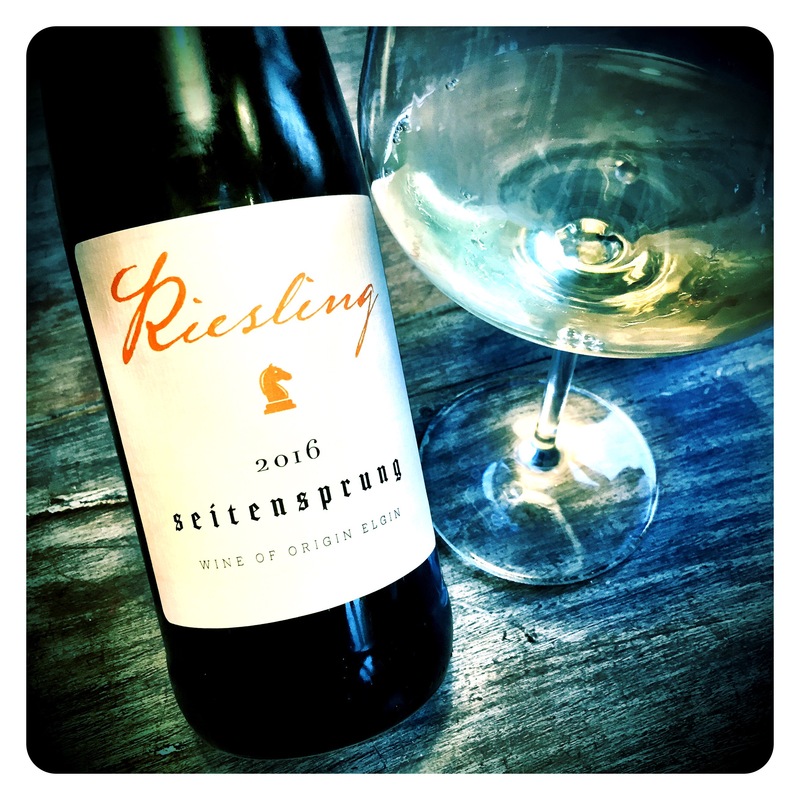 Seitensprung means an “affair” or “side step” and Carsten’s idea is to make one experimental wine from a different grape variety every year. This would allow Carsten full artistic experimental freedom and no accumulative pressure or expectations, with the wines only being bottled if quality meets his high standards. This is a one-off Riesling, itself unusual in South Africa and lovers of the variety will hopefully see some of Carsten’s German heritage in this exciting new wine. 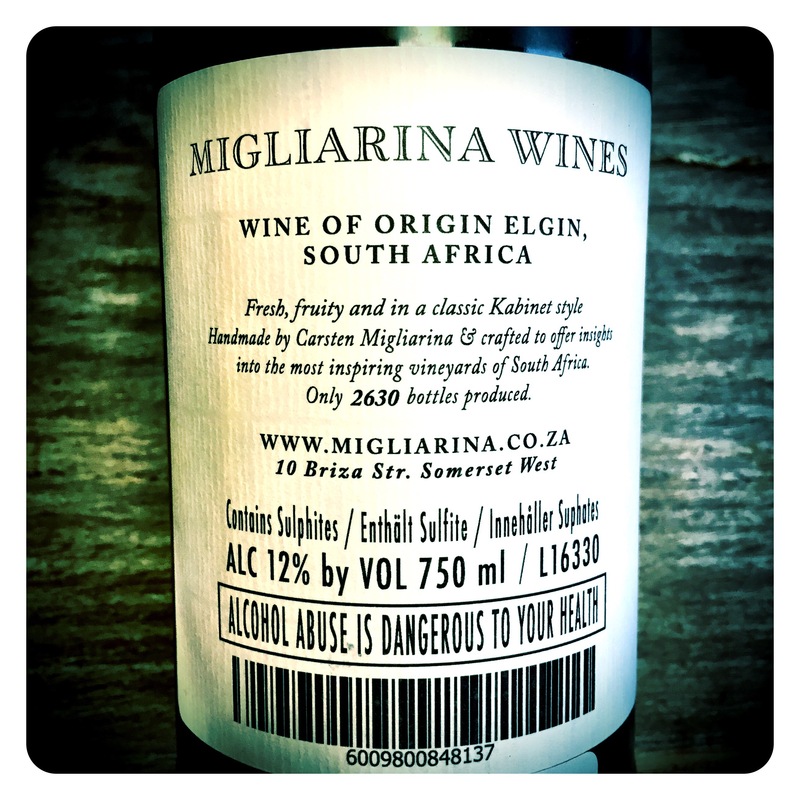 Migliarina Wines Riesling Seitensprung 2016, W.O. Elgin, 12 Abv. Like all Carsten’s wines, this is another serious effort. So grown up and old worldly in style. Not sure how he pulls it off time and time again, but this is so taught and mineral-laden with gravel, wet river pebbles, wet chalk, dried herbs and dry summer stable straw. The palate is a mirror image of the nose, seamlessly balanced and vibrantly fresh showing crunchy green apple, dried straw spice, pithy green pear, and incredibly rasping dry lemon complemented by crystalline purity and framed by profound liquid minerality. This is a very classy Riesling unlike anything I’ve tasted recently in South Africa, built more in a structured German Nahe or Rhinegau Trocken style. Superb wine. Glückwunsch Carsten!